I am a qualified Italian native teacher. I have been teaching Italian for over 12 years .I taught at University for 3 years and at the Foreign Office for 2 years. I am still currently teaching at City Lit, and at the Bishopsgate Institute. At City Lit and at the Bishopsgate Institute, I am teaching Italian to adults at all levels.I am doing ILT training courses and incorporating new technologies in my classes. I have mixed ability classes and have to differentiate between students by giving them different tasks. At the foreign office, I taught intensive Italian courses to diplomats. I prepared and taught intensive tailored courses for diplomats assigned to Italy for work. At Goldsmith University, I taught Italian from beginners to advanced business level. Group sizes varied from 6 to 15.I prepared lesson plans and schemes of work. I regularly met with colleagues to evaluate our progress. We observed and assessed each other while teaching to get regular feedback. I, therefore, gained a lot from working within a team. I have 13 years of experience in private tuition. I have been teaching mainly to adults, but I also taught for 3 years children and teenagers. I mainly use the communicative method and the choice of activities is essential and has to suit the topic chosen for that day. I believe that it is important to have a clear start to the lesson – students need to know what they are being taught (i.e.the objectives of the lesson need to be clarified upfront). I always alternate the 4 skills (listening, writing, reading and speaking). Plus, I do lots of role plays, games and group discussions. In Sept. 2004 – June 2005 University Certificate in Language Teaching to Adults (CLTA). The course included extensive teaching practice each week throughout the whole year at Goldsmith University. For beginners and elementary students I use “ Nuovo Espresso 1” “ Nuovo Espresso2” ““Rapidamente”, also, support books like: “ Grammatichiamo, Contatti” . These are just some of the books I use. Plus, my own material, authentic material, videos, flash cards, cue cards,Power Point, Electronic Smart Board etc…For intermediate students, I have my own material, plus books like “Linea Diretta” and “ Espresso 3”. For advanced students I use newspapers and magazines articles, “Magari” Authentic material and my own material. I do think that is important that a teacher loves what he/she does and that she /he has a positive attitude towards the subject taught and towards the students and their work. I love teaching my language, and I do so by using modern teaching techniques in a friendly, fun and efficient way. I tailor my lessons to meet the needs of my students, whether my students are learning Italian for leisure, business, or academic reasons. I am flexible, patient and enthusiastic, and I always bring variety to my lessons by using different teaching methods in order to keep my students active and motivated. 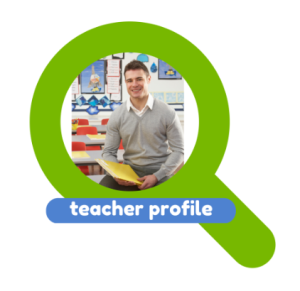 I am highly organised, interested in my students and I always create a positive atmosphere, where students feel valued and encouraged to participate. In fact, a relaxed and at the same time well integrate class, in which students respect one another’s opinions and work well together as a team is of a paramount importance to me. I always differentiate in my classes and assess my students in each activity; I am able to anticipate specific and individual problems. I plan my lessons accurately, with lesson plans and schemes of work. I always try to create lessons that are enjoyable and stimulating. I am professional and I always try to strike the right balance between teacher and student talk, but, generally, my classes are “student centred”. Learning Italian? How difficult is it? The best part of learning Italian is that newcomers generally wish to learn it because they genuinely love the language, the country, and the atmosphere of Italy. No matter if it’s the Italian food, music, or people who entices you to explore, Italian is one language that is learned most of all for the pleasure and feeling to become nearer to the people of the wonderful country known as Italy. The Italian language is considered by many a pleasure language because it has a much lower economic utility than other languages of Europe such as Dutch, German, or French. Because of this Italian has been referred to as a luxury language, whose users learn mostly for want rather than need. However, now that travel is much more accessible for everyone and learning a new language is as easy as downloading an online language course. The Italian language is starting to be learned by people of all ages’ groups and social classes. However the main motivation for learning Italian is still mostly because it is a socially attractive language instead of a business language such as English. Italian is the main language of approximately 65 million people. The vast majority of native Italian speakers are concentrated in Italy. However there are also Italian speakers in San Marino, Vatican City, Switzerland, the Istria region of Croatia, and Slovenia. Italian is considered a Romance language. This means that it is one of the languages that descend from Latin, which is the language of ancient Rome. Italian belongs to the same language family as Spanish, Portuguese, French, and Catalan. Because of this there are strong similarities between each of these in their structure, sound, and vocabulary terms. However, Italian is the romance language closest to Latin when it comes purely to vocabulary. If you have learned another romance language, or even learned a no longer used language like Latin, then it should be much easier to for you to also learn Italian. The Italian language we have today was mostly “promoted” by the famous Italian poet Dante Alighieri. Dante used his native Tuscan dialect to write the “Divine Comedy. As with all languages anyone learning Italian from scratch will find many regional variations within the language relating to special vocabulary, accents, and verb usage. However there are special dialects of Italian that are only spoken in their region and are important to be aware of if you are learning the language for the first time. These dialects are from the Naples and Campania region, the Venice and Veneto region, and the Friuli region. It is also important to be cautious of the island dialects of Sardinian and Sicilian. Regional dialects are only spoken in their individual regions, and are not official languages. These language dialects tend to be spoken by the older population and only in informal contexts. Younger Italians normally stick to standard Italian which is what a beginner should focus on learning. The Italian language isn’t especially difficult to learn, however at first every language can appear to be difficult to pick up. In order to learn Italian you will need to commit to consistently putting in time and practice. The good news is that if you do Italian is actually one of the easier languages to learn when compared to Russian or Chinese. Italian looks roughly how it sounds so you will not need to learn a new alphabet before you can start learning Italian. Because Italian has deep roots in Latin, and other Romance languages learning Italian will be much easier if you already know a Romance language like Spanish, French, or Portuguese because many of the words, verbs, and overall structures are similar to each other. Spanish and French happen to be the closest language to Italian out of all of the romance languages. New comers to Italian should be careful against the misuse of words that seem similar to English words but have completely different meanings in Italian! A good example of a word to watch out for is Sensibile. This in Italian means sensitive, instead of being reasonable like it does in English. Don’t let mistakes cause fatigue early on in your goal to learn Italian. Mistakes happen no matter what and are part of the learning process when learning a new language. However, if you practice enough your mistakes will lessen greatly with time! Learning a second or third foreign language is very exciting. Italian is among the most popular foreign languages that most people engage in. Theres a lot to learn about, such as history and culture when a person has some Italian knowledge. The language also allows one to interact with people abroad during visits and holidays in Italy and other places. There exist many other reasons as to why people learn Italian. The following are the top 10 reasons for learning the language. 1. Most people rate Italian language as the most beautiful worldwide spoken language. It is regarded as a language of food and arts. The language is also easy to learn compared to other foreign languages. 2. One improves their cultural and universal speaking skills. The Italian culture dominates in many areas and offers great ways of enjoying it. This is through such aspects as the Italian fashion, designers, gastronomy and architecture among others. 3. It allows one a chance to easily study art history associated with Michelangelos birth land. Most art history books are composed in Italian language thus one needs to be familiar with the language to avoid wasting time with translations. 4. There is no need of following up subtitles when watching prominent Italian language movies. Such movies include the Viscontis, Fellinis and Pasolinis. These movies rate among the top 10s and play in Italian language. 5. Understanding a variety of names to describe food. Compared to any other language, Italian offers the most words to refer to food. This is because Italians love food too much and there are many Italian recipes that one can enjoy from home. 6. It gives one a chance to easily interact with Italians who are best known for their friendliness and accommodative traits. The locals are also talkative and fervent to take visitors through the country. Learning Italian is the only way to get directions when one visits Italy. 7. Italiansongs become entertaining at last. Such include the likes of Luciano Pavarotti, a very popular operatic tenor. Rather than listening, it allows one to learn and practice Italian pop songs. 8. Poets and poem enthusiasts get a smooth time reading La Divina Commedia that was written by the epic poet Dante Alighieri. Written back in the 1300s, the poem is regarded as the finest work in Italian literature. 9. The language is the closest to Latin, an ancestral language common in all romance languages. 10. Eases communication with ones Italian-born grandparents as well as enhancing research on family roots as well as interpreting ancient family documents. Learning Spanish as a second or third language is a way to enhance a persons communication skills in their social and cultural life. Becoming acquainted with the language allows room for worthwhile experience during conversations with local friends and those abroad. Learning Spanish as a foreign language also helps improve one’s resume making it a colorful job seeking material. According to S. Krashens effective filter hypothesis, acquiring a foreign language like Spanish is much affected by ones own feelings about their ability to learn. By interacting and speaking Spanish with assistance from native speakers, one easily understands the language. This is evident from children, who are usually subjected to many other languages at school and other social places. This though requires confidence which is a chief way to easily improve a persons vocabulary. Various means of learning other information are also applied when adults learn Spanish. These are common natural learning styles which greatly inspire learning a foreign language. This way, an adult can easily match their style of learning with the most appropriate language program. This is a common aspect when learning any language. This is because grammar determines a persons level of expertise. The choice of how best to speak a language is thus set on individual basis. Adults have to set their goals according to the level they want to attain, such as basic communication or that of native know-how. By determining what goal to achieve, following a Spanish language program becomes easy. This also defines the period of time one will spend learning the skills. For instance, a goal for basic conversation skills takes little time compared to that of native competence. There exist a number of learning methods in which adults can comfortably choose from. Some of the common modes include following tutorials from the web, taking Spanish classes, reading Spanish books, listening to tutoring audio tapes and television programs. One can also opt to take a tour in a foreign country for language engagements. Depending on the goal for learning Spanish, there is the perfect method of learning. French courses can dramatically improve your chances in your professional and personal lives. Learning a new language goes beyond learning a new vocabulary, it can effectively open doors, professionally and culturally. In this article we’ll take a look at the top ten reasons why you should consider taking French classes. Speaking French can help you get a job! Knowing this language can help you get employment at a French company as well as in other countries that have French among their primary languages, including some of the most sought after job markets like Canada, Switzerland, and many countries in Africa. France is among the world’s economic powerhouses. The French language can allow you to communicate with the world. Don’t forget that French is spoken on five continents and more than sixty countries. Broaden your travel horizons. France is the top touristic destination in the world. Knowing French can help you get acquainted with many of the amazing travel destinations located in the Hexagon much more intimately than non-French speakers (after all, French people aren’t exactly known for their openness to foreign culture,) not to mention all the other countries where French is spoken regularly. French is used extensively in all the fine arts and in fields like fashion and cooking. Learning French on a language course can significantly broaden your access to culture and art. France has some of the best universities in Europe and, in many fields, the world. Learning this language can open doors for any young aspiring professional wishing to study in these world-class establishments. Taking some French lessons can help you communicate on the Internet or on the media. French is the third most popular language on the Internet and France’s radio and TV are well-known all around the world. French is the language of diplomacy and it is an essential part of the formation of any aspiring diplomat or specialist in foreign relations. From the United Nations to the European Union, French is the official language of many important international organizations. Attending language courses can help you learn other languages with greater ease. As one of the many so-called romance tongues, French can make it easier for you to learn languages like Spanish, Italian, and Portuguese. Learning French is not that hard! It is is among the most popular languages in the world. Because of that, there are plenty of methods to assist people wanting to learn it, making it more accessible. It is the language of love. According to popular culture, French is simply a beautiful language. The Language class in London organises French courses in London for anyone who want to start learning this popular modern language from scratch or for those who want to brush up their existing skills. Classes are interactive and well planned to allow the student to start practising the language from the first lesson.